Hey everyone! 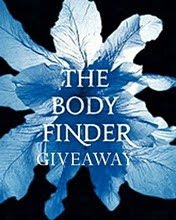 The time has finally come for me to announce the winners of The Body Finder Giveaway! Before I do so, I just want to thank everyone for entering! I'm just really happy that this contest was a random.org drawing, because if it were up to me, I would send a copy of this fabulous book to everyone. But, that can't happen. Not because I don't love you all, but because that would be MEGA bucks. Bucks with which I could be buying lots of pretty shoes. See my dilemma. So, without further procrastination, I give you the winners of The Body Finder Giveaway! Congrats to both winners! I'll be contacting you shortly, but if you don't hear from me soon, please email me at kimberly@kim-franklin.com. Before I go, I want to thank everyone who entered again. I couldn't hold these super fun contests without you guys! (Well, I guess I could. And I would win everytime! But they wouldn't be as much fun.) So THANK YOU!! You rock! Thanks so much!! I'm really excited. Congrats Jon! Woot-woot! I love that Christine and I have been CP's, thats too funny, conmgrats, C. Thanks Kim. This one has been on my radar, but I haven't even made time for LINGER yet. I am excited to has THE BODY FINDER in my possession so the folks at the library won't get mad at me. Again. Oh, and I'm loving your page! Congrats to the winners - that looks like such a great book! Congrats to the winners! 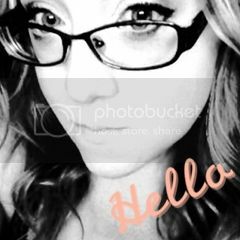 I love your blog Kimberly! Duuuuuuuude!!! Could not have had better winners. I HEART them both. Congrats to both of them Fab contest, Kim!! Congrats, Jon and Christine! I look forward to reading my own copy of this.